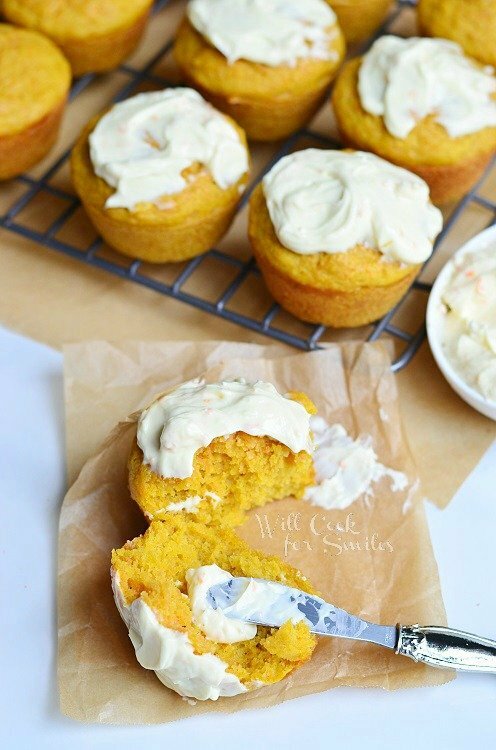 Let’s bring some sunny, warm weather to all who needs it with these golden Carrot Muffins! 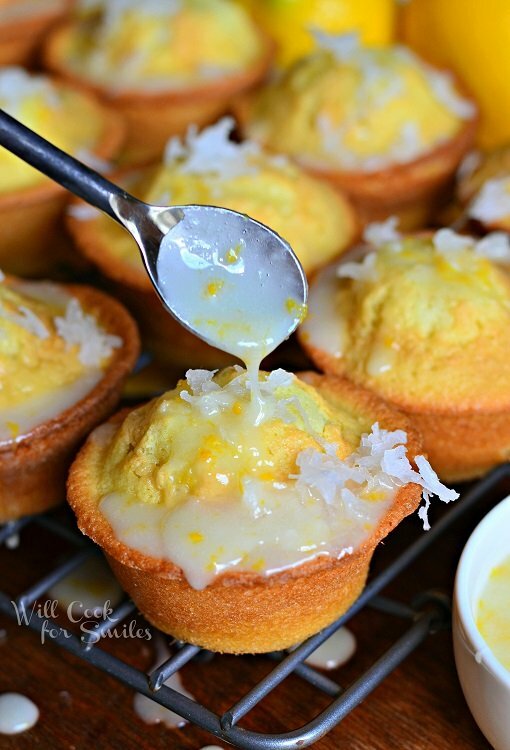 They are soft, moist and delightful, topped with creamy orange flavored spread. I’m enjoying one of these bad boys while I type this and it …is …yummy! 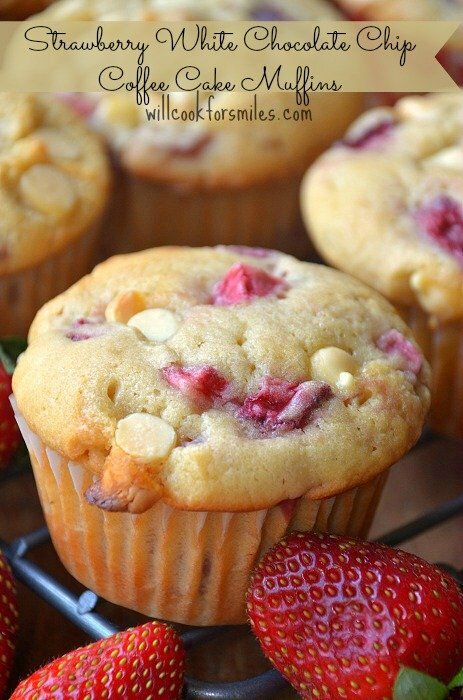 These muffins are so soft and perfectly sweet. 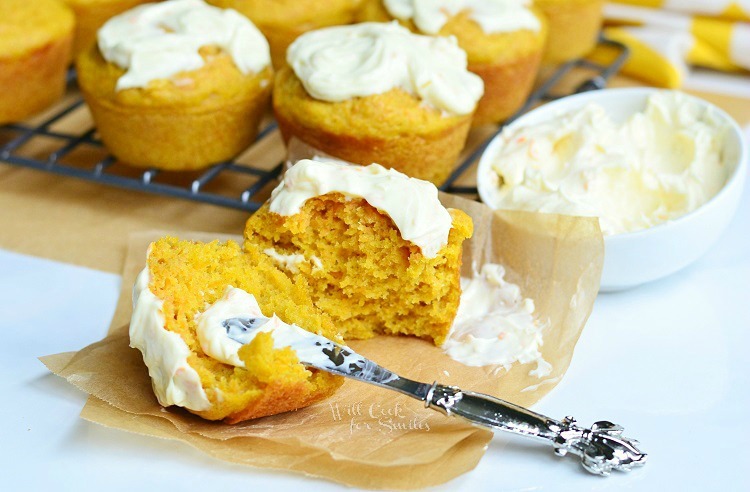 Orange flavor in this spread is a great compliment for the carrot flavor of the muffins. Talk about a great breakfast for yourself and your loved ones! They are also perfect on the go, I give one to hubby as he is leaving for work and take one with me while I take my little guy to school. I’m glad that my Facebook fans voted for these muffins to be shared next. If you are already a fan of my page, you know that I like to get votes on what I post next from my readers. 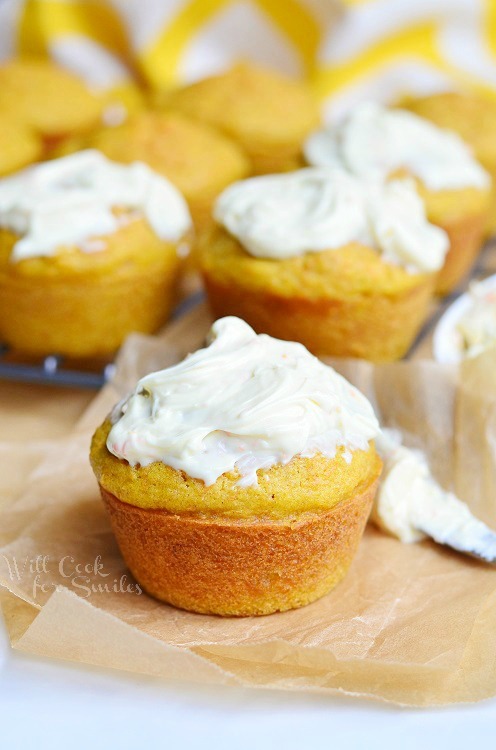 Yesterday, I asked if they wanted to see a Spring Flower Bed Cake or these Carrot Muffins with Orange Cream Spread. The votes were pretty close, it seems like everyone wants the Spring to come already and they all want to see some Spring recipes. So I’ve decided to push back the chicken that I had planned for tomorrow and share the muffins today and the cake tomorrow!! Oh, and you just wait and see what I have planned for Sunday! Wowzee! 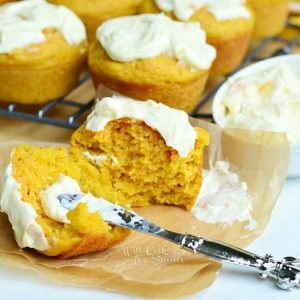 Let's bring some sunny, warm weather to all who needs it with these golden Carrot Muffins! They are soft, moist and delightful, topped with creamy orange flavored spread. Preheat your oven to 350 and grease a 12-cup muffin pan. In a large mixing bowl, whisk the finely grated carrots, brown sugar, eggs, oil, vanilla extract and yogurt. Whisk well until all evenly incorporated. Add baking powder, baking soda, cinnamon and sift in the flour. Whisk well until all smooth. Divide the batter among the muffin cups, filling them to almost full. Let them cook while you make the spread. Spread: Combine the ingredients for spread in a small bowl and beat for about a minute, until all smooth and light. You can spread the orange cream on the muffins right away or as you are ready to eat them. The minute I saw the title I could feel the Florida sunshine!! Too bad we didn’t have any yesterday but this will make up for it today. I am so anxious to get back to my own kitchen so I can start baking and cooking with all my tools — you know the ones you simply can’t do without. I’m looking forward to your next surprise. I completely understand! I’m lost when I’m not in my own kitchen. What a great looking combo… carrot and orange! Yum! 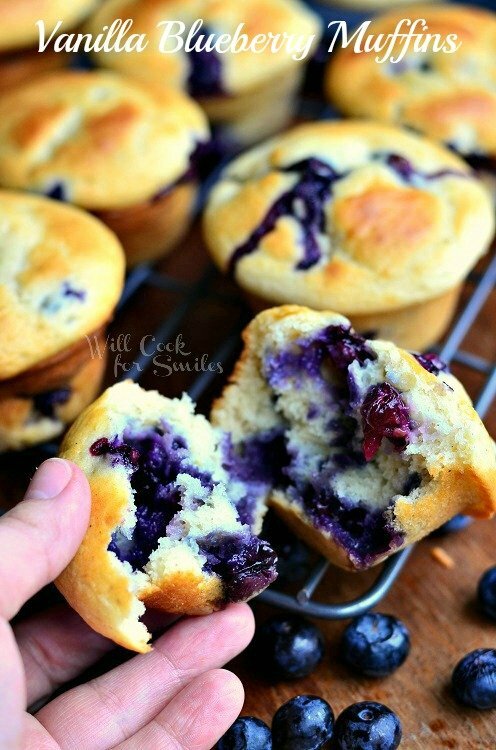 And anytime I see muffin recipes, I’m a happy dude… could eat them everday! Thank you so much, Ginnie! You are so sweet! No way? That’s awesome, Claire! Thank you! !